We enjoyed some Friendship School White from the St. James Winery in Missouri. from them but it is still too raw to tell if it's going to be anything but something to cook with. Have given up on Chardonnay altogether. So I need a good Malbec, $10-$15 or so. Very nice; not as robust as a Cab but a bit more complex than a Merlot. Very drinkable. 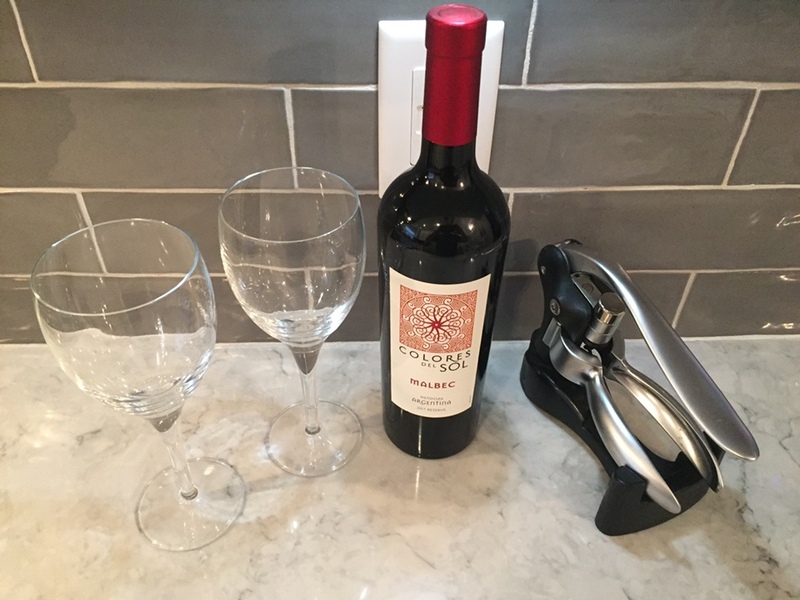 Have you tried the Kirkland brand Malbec from Costco? Decent. We like good Italian and French wines. Barolo, Brunello, French Pino, etc. Fruity young “drinkable” reds, not so much. Rather have a beer. Sicilian red nero d'avola is a nice table wine. Reminds us of when we visited family in Sicily. Love pretty much every color of wine so long as its dry. This one sucked. Would not buy again. All can be found at Total Wine. So, now it's a thing. Discuss. I'll be happy to admit to being much more on the hillbilly end of the scale then the connoisseur (thanks, spell check) end of the scale. I have no taste for dry wines, nor even semi-dry wines. I prefer sweet, semi-sweet, and fruit wines. I remember my grandfather making dandelion wine when I was a youngster. (Side note, my grandmother also battered and fried the yellow heads, making something similar to a hush-puppy, and fried the greens in bacon fat). One that my wife and I really like is the strawberry wine from Tennessee Valley Winery: https://www.tennesseevalleywinery.com/fruit-wines A lot of strawberry wines are, in fact, grape wine with strawberry flavoring. I find these to be a bit too much like cough syrup. The TVW offering is all strawberry, and tastes like it. Even a cheap sangria usually goes over well in my household. Sir, your palate is pedestrian and without hope! I started regularly drinking wines after reading an article about the health benefits of wines that made from tannat or muscadine grapes. When I mentioned what I was looking for to the wine dude at one of the state stores he suggested Duplin Carolina Red Sweet Muscadine. Tried it and like it and that is now my go to. I appreciate the effort, and enjoy the fruits of the grape...but dude. Look around the room a minute. It's worth trying some dry reds from time to time. Your taste will change over time, and the sweeter wines will loose their appeal. Some good varietals for a gateway dry red are California Zinfandel (most have some residual sugar, especially the cheaper ones), South American Malbec, and wines from Amador County in California. Amador wines tend to be on the sweeter side, as the temperatures are hotter there and the grapes tend to get riper (more sugar). Next time you are in your Costco or wherever, grab a few bottles of the above at price you like. Check them out. If you have one you can't stand, you can mix it with red sweet vermouth and ice. Get a better vermouth, like Martini and Rossi, skip Gallo.